Join us for an inspiring afternoon on Saturday April 21st at Nairobi Garage to start creating a future that can serve us all. The 360 Afrika Forum is building community that connects emerging technologies, the creators exploring what’s recently possible, and the organizations and industries that can apply this new knowledge at scale. Society is at the cusp of great technological change that will fundamentally alter how we work, play, and understand ourselves. Whether this change is for the better is up to us. We are bringing together a diverse group of East African storytellers, companies, organizations and hackers to begin this conversation. Explore how drones, gamification, design thinking, VR/AR, and machine learning can impact your industry and your work. Learn from and connect with the most experienced practitioners in East Africa including Black Rhino, NboStoryLab, Code for Africa, Enter Africa, Nairobi Design Week, Fuse Catalyst, and ONA stories. We only have 75 places, so please RSVP soon as we expect the event to fill up quickly. Tickets are free, but should be reserved. 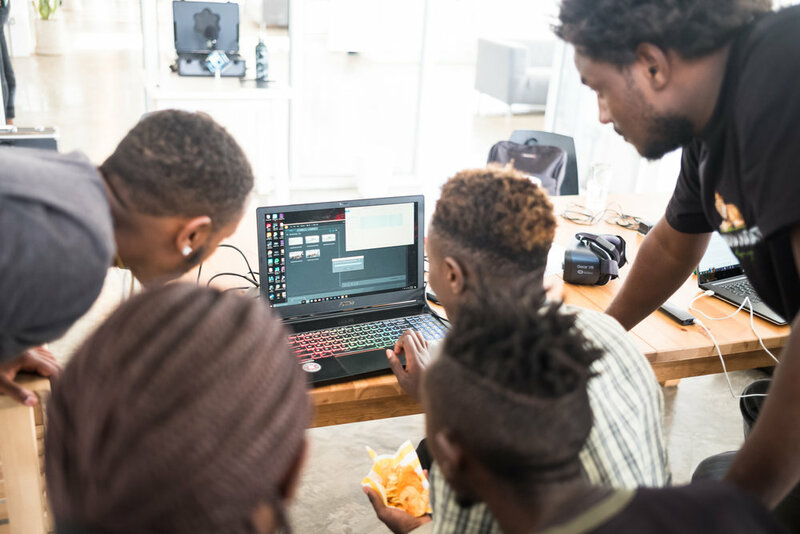 360 Afrika is proud to host the first pan-Africa AR/VR hackathon. The hackathon launches at 16:00 on Friday the 20th and concludes at 16:00 on Sunday the 22nd at Nairobi Garage. The theme for the AR/VR Africa Hackathon is ‘Creating Our Future’ with teams tasked with building solutions for Education, HealthCare, Tourism, the Environment and Social Justice. Come see the demos Sunday afternoon and see who takes home the prize!